Stand out with this brilliant Batman Origin Costume with Jumpsuit, Cape, and Mask - ideal for Heroes and Villains, Hollywood and Film Character fancy dress themes! Go back in time with this fantastic Batman Origin Costume dating back over 75 years ago. Included in this fun outfit are a Jumpsuit, Cape and Mask. Perfect for most fancy dress occasions; Halloween, New Year’s, Hollywood, Film Character or Hero themes. 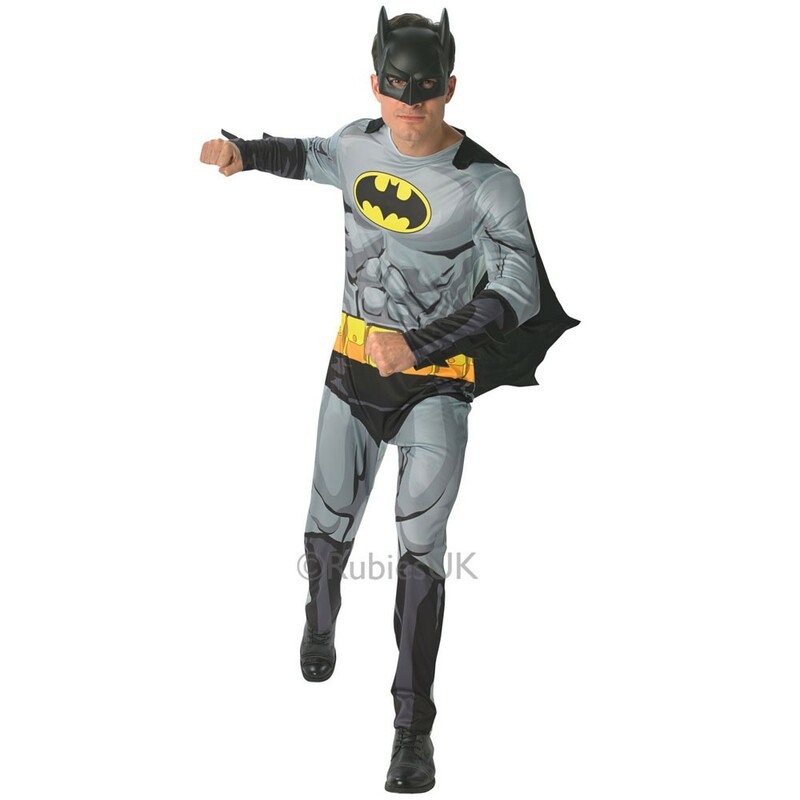 This Batman Original Costume includes a soft grey jumpsuit with printed muscle detailing for the chiselled look, faux black boot covers, and not gorgetting the iconic black and yellow bat symbol on the chest. This Batman Original Costume also includes a short, jagged black cape to drape over the shoulders and a black bat eye mask to complete this classic look. This licensed DC superhero fancy dress costume can be worn to a number of different parties time and time again, so here’s your own chance to fight crime and protect the innocent with this impressive Batman Original Costume.